Paul Violi’s poetry has rarely been taken as seriously as it should be. Probably that’s because he never took the spirit of seriousness as seriously as many people do, especially when it comes to poetry. His erudition never wears an academic gown. According to Charles North and Tony Towle, the editors of The Tame Magpie, a posthumous gathering of poems left unpublished at Violi’s death in 2011, our poet was ambivalent about being labeled (as they are) a second generation member of the New York School: “Pound, for example, was as important to him as the French modernists,” they point out; “so were Coleridge and Keats.” That’s as may be. But for me, French modernism aside, enrollment in the New York School seems easy enough; you just need to pledge allegiance to John Ashbery’s dictum that “art is already serious enough; there is no point making it seem even more serious by taking it too seriously” while still bearing witness to what one of Violi’s personae, Guiraut (or as Violi spells it, Giraut) Riquier, the last of the troubadours, bluntly calls “the difference between buffoons and true poets.” By the standard of just-serious-enoughness, Violi, true poet, rates emeritus status in this school. If you threaten me, I will vomit on you. Spew a good ten feet. Couldn’t they hear it all together, a chorus of one? Ancient and eager in the dawn. Don’t look at my face. No change, just large bills. One wrong move will be your last. To me, the existential implications of those three little lines go on forever, like the rings I imagine rippling around the splash of water in the ancient pond that Bashō’s frog jumped into. 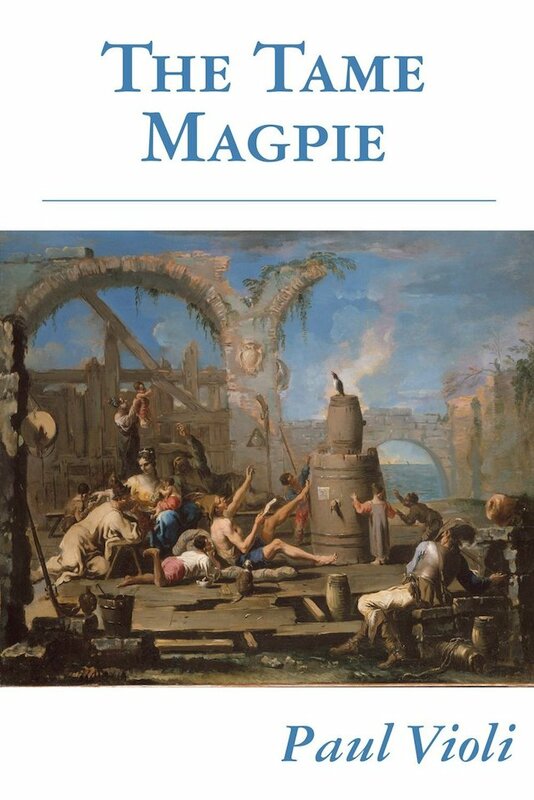 In poetry, Violi was rarely prone to wrong moves and rarely counted style’s small change; so it comes as something of a shock to realize that the poems of The Tame Magpie will be his last. Paul Violi’s The Tame Magpie (2014) was published by Hanging Loose Press.